UCM Services Oakland is a leading name in the cleaning industry in and around Oakland, CA. Our top of the line cleaning services help take care of our customers the best way possible. One of UCM Services Oakland main goals is to make sure our customers are happy with our service and the result of the cleaning, because we want our customers to use our services again. Our technicians have many years of experience in carpet cleaning, upholstery cleaning and much more, there is no better place to learn then from experience and we have abundance of that, there is no type of carpet we haven't cleaned before or any kind of wood floor we haven't refinish or clean. 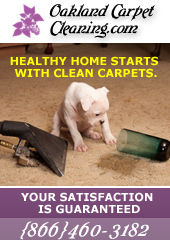 Call UCM Services Oakland at 510-999-8920 to try our cleaning services, you will be happy you did.